Chris Courson began writing professionally in 2010 and contributes to various websites, specializing in writing about athletics as well as the health and fitness fields. Courson has a Master of Science in exercise physiology from East Carolina University. Cardiovascular endurance is described as the ability to perform large-muscle dynamic, moderate-to-high intensity exercise for prolonged periods. This can be tested in a variety of ways. There are many types of standardized tests developed by professionals to test cardiovascular endurance. Some of these tests require specialized equipment in order to be performed properly and accurately. However, there are also tests that can be done with minimal equipment or outside resources that will give you an accurate measurement of your cardiovascular endurance. Vo2 Max, or maximal oxygen consumption, is the maximal amount of oxygen one is able to use during exercise. This is the most valid index of aerobic fitness. Measurement of Vo2 max through indirect calorimetry is expensive and requires trained personnel. The individual is required to exercise to exhaustion, on a treadmill or cycle ergometer. Throughout the test, oxygen consumption, carbon dioxide production and volume of air are measured with special equipment. These tests require trained personnel and expensive equipment. The mile run/walk requires no extra equipment. The goal of this test is to cover a one-mile distance as quickly as possible. This test is a maximal effort test and should only be performed by healthy individuals. In order to perform this test, you simply need to measure the time it takes you to cover one mile. Time should be recorded and can be compared using tables and statistics, which will give you a measure of your cardiovascular endurance. The PACER test is a multistage 20-meter shuttle run. 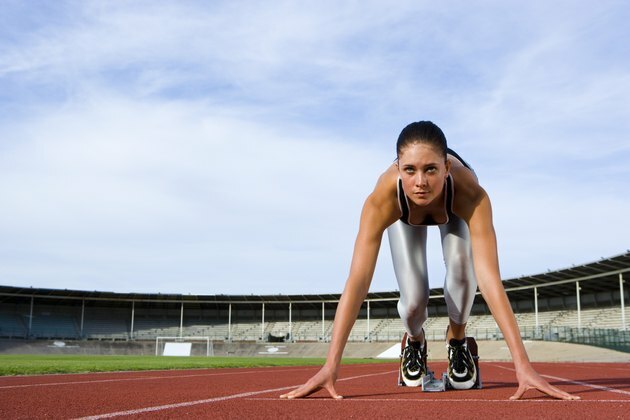 You will run from one side to the other of your 20-meter distance for as many repetitions as you can. The pace by which you run is set on a CD and the intervals get faster each minute so that eventually you cannot maintain the pace and cannot continue running. Your total repetitions should be counted and recorded. For any test measuring cardiovascular endurance, there are standardized tables that allow you to rate your results. These tables will show you how you rank and usually will evaluate you by putting you in a category of low, fair, average, good and high.